A Texas woman has died after being mauled by her two pet pit bulls at an Irving veterinary facility, according to police. Johana Villafane, 33, was attacked while attending to her two dogs in an outside exercise area at the O’Connor Animal Hospital in Irving on the morning of Saturday, March 23, police told WFAA. Deputies were called to the veterinary facility to assist paramedics responding to “reports of a woman in need of medical attention,” Irving Police said in a news release on Facebook. O’Connor staff had called 911 saying a dog owner had been mauled and appeared to be seriously injured. Both paramedics and staff tried to rescue the woman but were prevented from reaching the victim because of the aggressive behavior of the pit bull terriers. “They were unable to retrieve her to give her any medical attention because of the animals,” Irving Police officer David Dickinson told WFAA. The aggressive dogs also kept the responding officers at bay until one of the deputies shot them both dead. “Due to the dogs continued aggression, an officer discharged his duty weapon, striking and killing both dogs,” police said in the statement. The victim was taken to Parkland Hospital with life-threatening injuries, where she later died, according to Fox4. Irving Police said the investigation is ongoing. Iris Powel, a neighbor, was cited by WFAA as saying that the attack was “an awful thing,” but said pit bulls as a breed aren’t to blame. 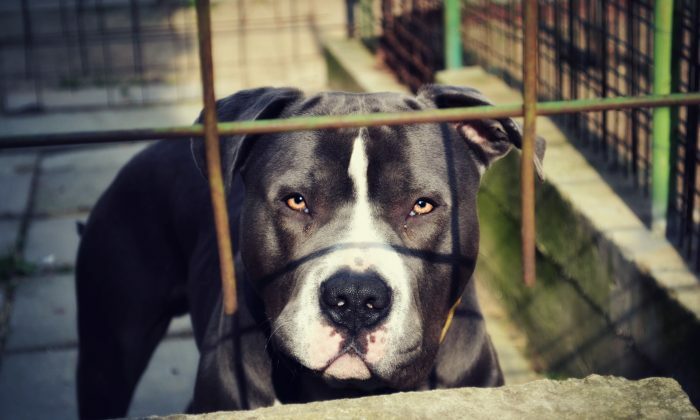 Centers for Disease Control and Prevention did a study in the mid-90s into dog bite-related deaths, attributing the highest number of dog-bite-related fatalities between 1979 and 1996 to pit bulls. DogsBite.org’s fatality report identified breeds of dogs involved in U.S. attacks between 2005 and 2017, with pit bulls being implicated in 66 percent of all fatal attacks. Studies linking breed types to numbers of attack are highly controversial, however, due to different factors affecting the numbers. The CDC study outlined things people could do to minimize the chances of being bitten by a dog. Advice includes never approaching an unfamiliar dog, avoiding direct eye contact, and never disturbing a dog that is sleeping, eating, or caring for puppies.